5.0 out of 5 stars - Great Read Oric and the Lockton Castle Mystery – Book 2 by Lesley Wilson is a great medieval adventure. The story has lovable and intriguing characters such as Parzifal, Dian and Ichtheus. The genre isn’t one I normally read however I wanted to give it a try. I’m glad I did because it kept me interested throughout the entire story. I recommend this book to anyone who like medieval, adventure and fantasy stories. 5.0 out of 5 starsEven better than Book 1 From mad priests to rival lords and witch burnings, this book is a very genuine portrayal of medieval times. It is also a fun adventure story with well-drawn characters and great world-building. Book 2 of the Oric Trilogy is even better than Book 1, and I highly recommend it to anyone who enjoys medieval fantasy. I shall be eagerly awaiting the conclusion of the series! 5.0 out of 5 starsA wonderful tale, this book combines the deep comfort of ... A wonderful tale, this book combines the deep comfort of tropes as old, and as well-loved, as Yule with a fresh and light-hearted style. The combination is a winning one. There's a lightness to Wilson's writing that raises its subject matter like a perfect souffle. I enjoyed every page of it, and laughed out loud a number of times.Just as a novel ought to do, Oric and the Lockton Castle Mystery stands completely alone, and yet it also forms part of a greater story arc. I look forward with great anticipation to the third volume in the series. This is an amazing book for making new friends, good and bad, from of medieval times. I did not read many fantasy books but I can see that it was worth the try. Must continue the series with the other books. 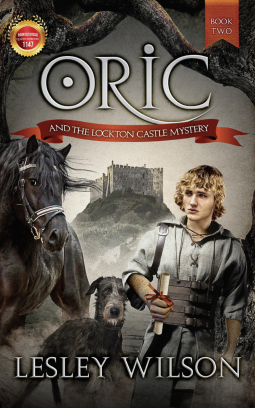 "Oric and the Lockton Castle Mystery" is Book 2 in a trilogy about the adventures of Oric. Young readers, for whom the book is intended, will no doubt be intrigued by the pacing and adventurous aspects of this novel. I really appreciated the inclusion of a summary (prologue) of the action up to the point when the story begins, since I had not read the first novel in the series. This prologue leads the reader right into the action when Book 2 takes up. The descriptions of competitions and tourneys, as well as fairs and battles, will draw in young readers. I think it will be especially appealing to boys, who are notoriously difficult to interest in reading.